Switch to your Images tab just below your signature preview window. Scroll down and you will see a section called Base Images with a drop down menu that gives you some options for your banner images. Select which layout you wish to display your banner images. We have chosen Horizontal - 2 banners: 300 x 100 pixels for our layout which will allow us to add up to 2 banners, with a maximum width of 300 pixels and maximum height of 100 pixels per banner. Click the Add an image button to start uploading your banner images. Firstly you will see a box like the one below open up with a few settings and a placeholder image. 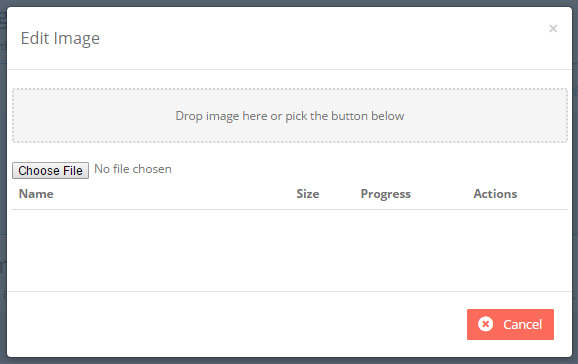 Select Edit to open up the Image Upload Window then Choose File and select your banner image. 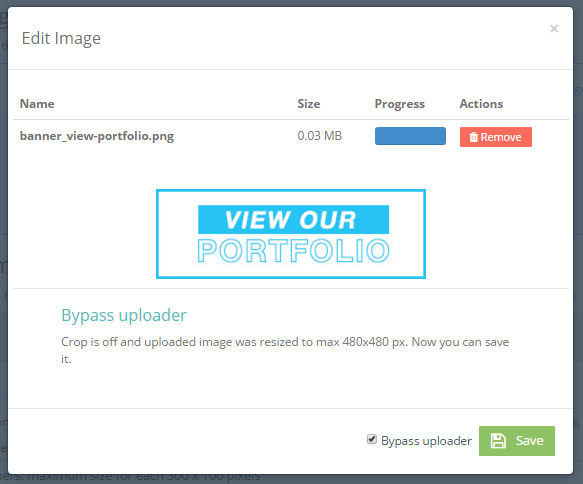 Option 1: If your banner image is already at the correct size and doesn't need cropping or resizing, select the Bypass Uploader check box at the bottom of the Image Upload Window. This will ensure that your image isn't touched and will upload exactly as is. Click Save. Option 2: If you need to crop or resize your banner, you can use the handles overlayed your image to select where to crop, select Next then use the slider to resize your image to your desired size. Click Save. For additional banner images, simply repeat the process. You can then drag and drop the banner images above or below one another to re-position them within your signature. Select the link/chain icon on each banner image to add a link, or select the envelope icon to add a mail to link. Now that you have added your promotional banner images and your links, simply install your signature by following one of our installation guides that suits your mail client. Congratulations! You've successfully added banner images to your email signature!